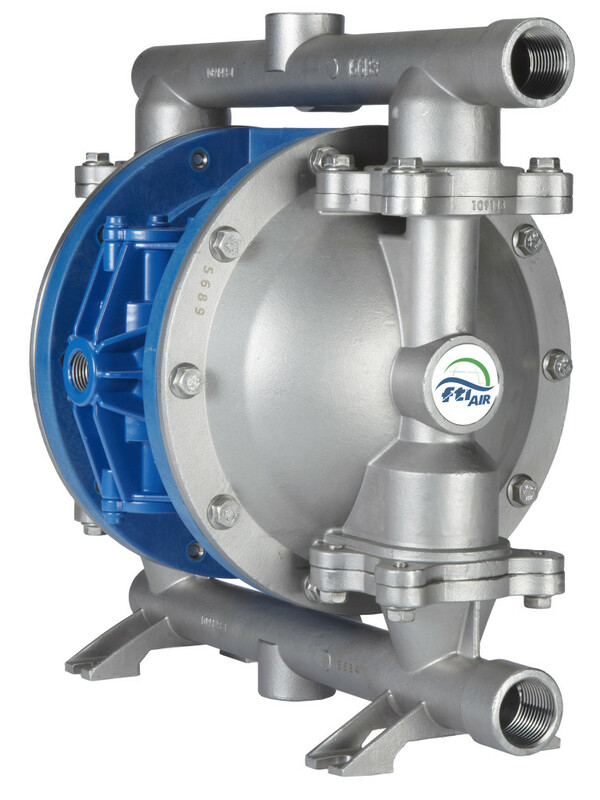 FTI Air Model FT10 pumps features a unique stall free air valve that is simple, rugged and reliable and requires no separate pilot valve or a mechanically operated pilot valve. Bolted construction provides leak-free fluid handling. 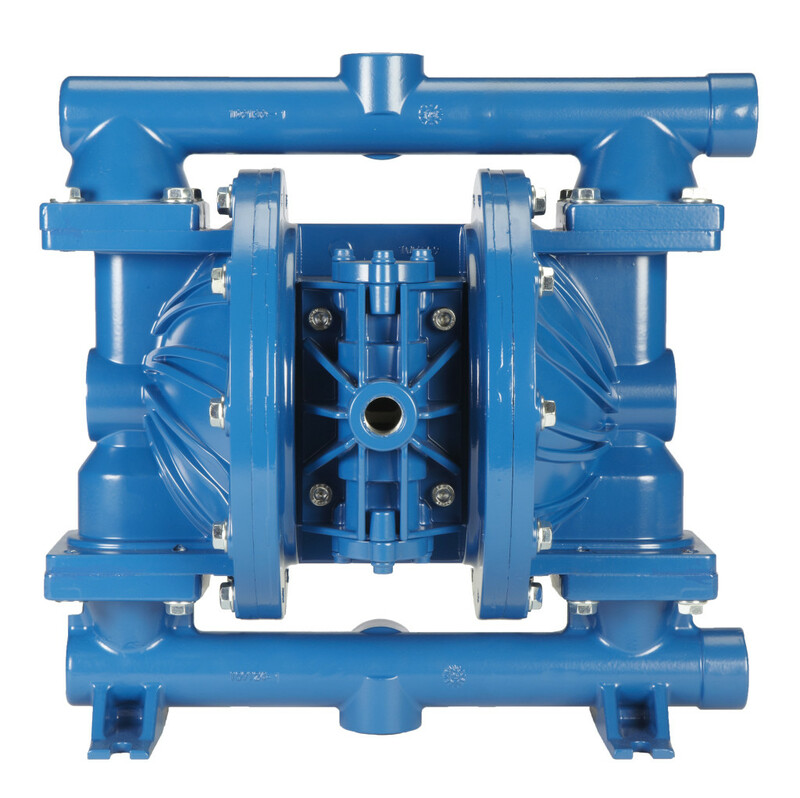 Pumps are available with 316 stainless steel or aluminum wetted materials. 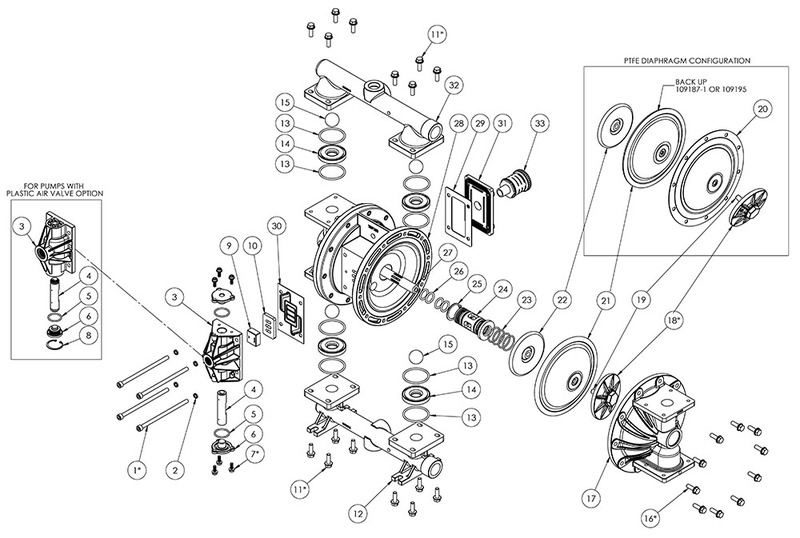 Diaphragms, balls and seats are available in a wide range of materials to provide reliable operation in a wide variety of applications. 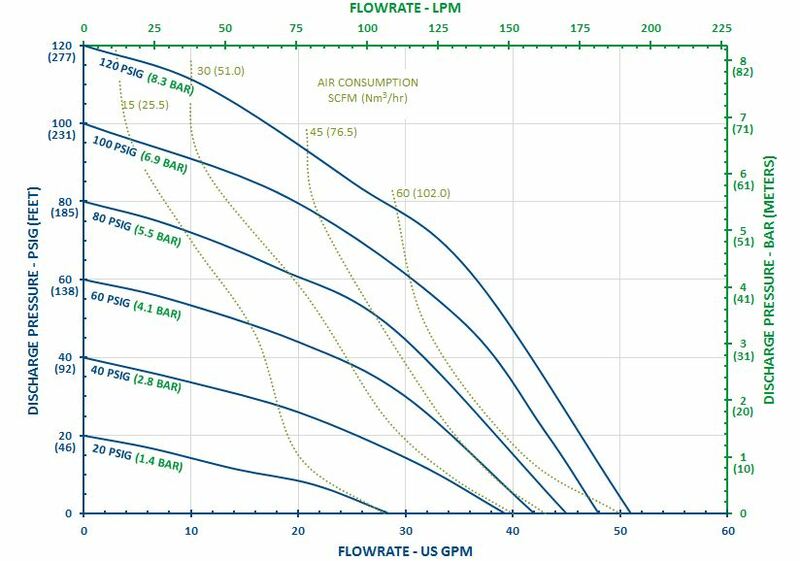 FTI Air products have fewer parts, simpler design and are less prone to failure.